Designed with convenience and functionality in mind. 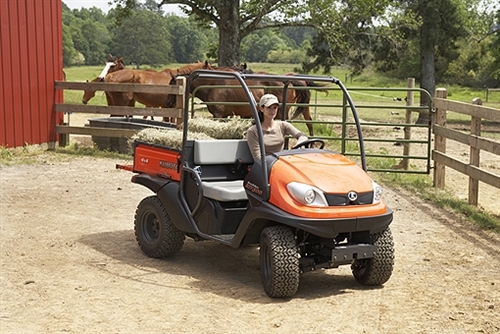 The Kubota RTV500 has been specifically designed to make transporting it as easy as possible. It has a compact frame allowing you to load the vehicle onto a long-bed pickup truck or trailer when necessary to move it. This feature is perfect for anyone looking for a vehicle to help with camping, hunting or other outdoor pursuits where having a portable yet rugged utility vehicle can make a real difference. Despite its compact size, the RTV500 sports an impressive 15.8hp, 2-cylinder petrol engine that is liquid-cooled for maximum reliability and quieter operation (again of benefit to those pursuing outdoor tasks). With the built-in Electronic Fuel Injection system, the RTV500 receives on demand power, with fully-optimised acceleration, more reliable engine start-up when cold and better engine serviceability. Alongside the engine, Kubota's Variable Hydro Transmission is another big innovation. This hydrostatic transmission removes the need to adjust belt drives and offers incredible reliability, handling and performance in difficult environments. Not only that, but the engine-assisted descent control means you remain in command of the vehicle even on tough terrain. 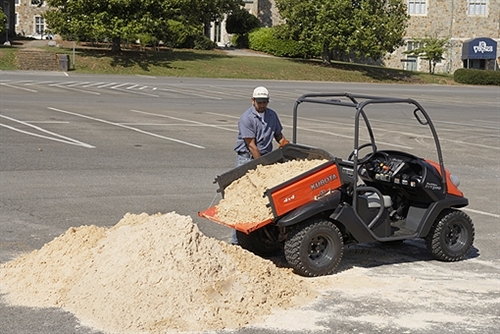 As well as high-performance operation, the RTV500 has a 200kg cargo bed load capacity, ensuring you can move more as and when you need to, along with an operator area specially designed with comfort in mind, so you can keep going for longer. 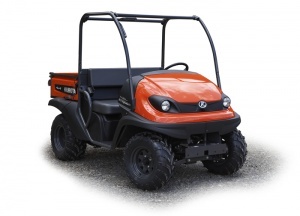 With robust semi-independent rear suspension, 4-wheel disc brakes and a Rollover Protection Standards compliant frame, the RTV500 realy is the complete utility vehicle perfect for a whole host of outdoor activities. You can also add a wide range of additional accessories to your RTV500, such as a Front Guard Kit, Tow Hitch, Windshields and Roofs, as well as Wiper, Headrest and Lighting Kits. For more information on the possible specifications please contact us. 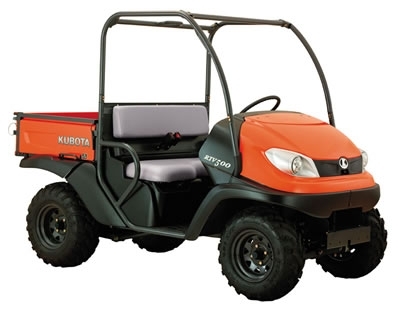 Kubota's RTV400Ci is a rugged and versatile utility vehicle characterised by its smaller size but big features, with a 200kg capacity cargo bed and innovative engine and transmission.